With the holiday shopping season upon us, consumer advocates are warning shoppers about toys that contain toxic chemicals and choking hazards. “We continue to see a steady stream of toddlers and young children who have swallowed or choked on small toys or toy parts coming into the emergency department. In more dangerous situations, children who swallow powerful magnets or button batteries need surgery for removal,” said Dr. Michelle Macy, Lurie Children’s emergency room physician, in a statement. Some of the products advocates are sounding the alarm on are still available for purchase online or in stores, according to a new report by the Illinois Public Interest Research Group Education Fund. Those include popular “slime” products found to have toxic levels of boron, which is commonly used in glass manufacturing, pesticides and detergents, up to 15 times higher than the European Union’s limit. (There are no limits on boron in children’s toys in the U.S.) Ingesting boron can cause nausea, vomiting, long-term reproductive issues and can even be fatal, according to the U.S. Environmental Protection Agency. The advocacy group is calling for warning labels on products containing boron and a full public hearing to determine safe levels of boron. 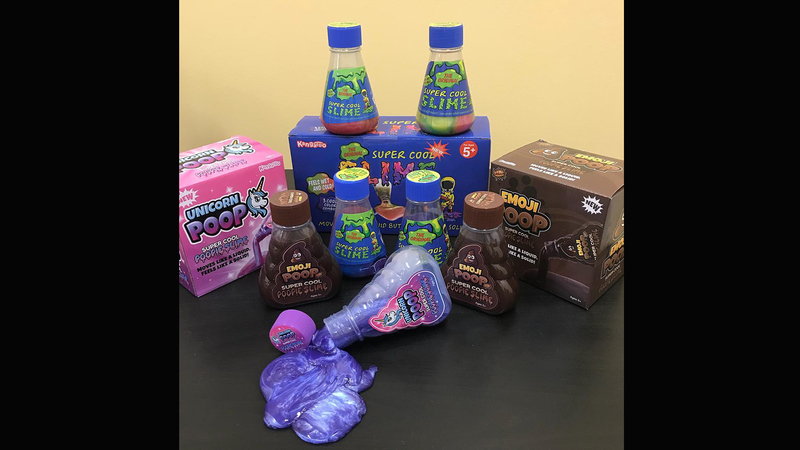 While the organization did not find any newly recalled toys being sold online, it urges parents to check their homes for hazardous products. A list of toys recalled from October 2017 through October 2018 by the United States Consumer Product Safety Commission is available in the new report, Trouble in Toyland. The report also found several products lacked choking hazard labels. A survey of five search pages for balloons on Amazon found 87 percent of those products marketed to parents of children under the age of 2 lacked warning labels – a violation of the law. Advocates are also raising concerns about so-called smart toys, or products that connect to the internet and collect consumer data. The report highlights two smart toys – a robot toy sold by Wonder Workshops and Amazon’s Fire HD Kids Edition tablet – that were found by the Mozilla Foundation to have privacy concerns. The Mozilla investigation found both products can share children’s information with third parties – the latter can share that information for advertising purposes – and the tablet doesn’t delete stored user data, according to the report. Madigan released her annual Safe Shopping Guide on Tuesday, highlighting hazardous toys, children’s products and household items that have been recalled over the past year. Since January, there have been 41 recalls of children’s products by the USCPSC. This holiday season, Madigan is warning parents to watch out for baby rattles, bath toys, cars and toy planes that can break and cause choking hazards. Toys and water bottles that contain lead paint are also included in the guide.